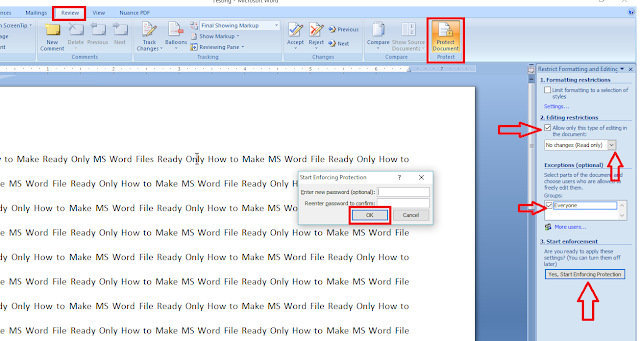 In MS Office you can easily make read only files, there is no extra software needed, its inbuilt feature of office, here I am going to show you how to make ready only (no edit or no change) file of MS Word. 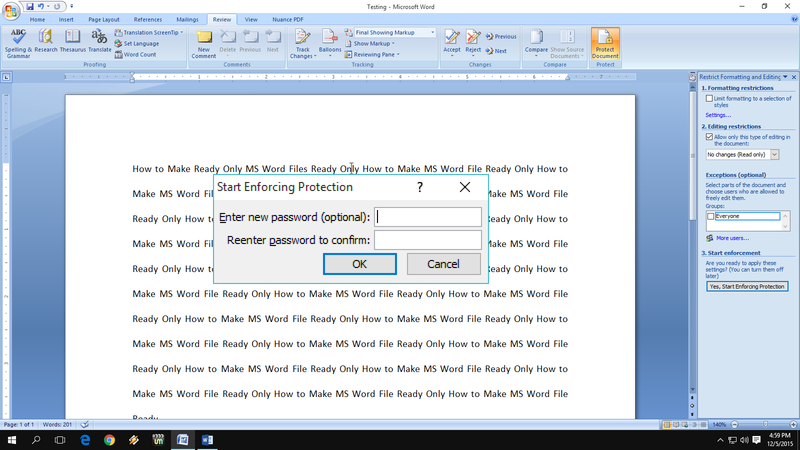 This method will work all the version of MS Word like 2003, 2007, 2010, 2013 and 2016. Just follow these easy steps to make read only files. 2. Now your document is read only and protected from editing, if you want to remove this just click on “Stop Protection” in right bottom side and uncheck on “Allow only this type of editing in the document”.